After years of writing about sports elsewhere, I dare to venture where many have gone before. Welcome to my own site, Seedy K Sports, where I’ll continue to cover the scene with a gangster lean. Lots more opinionating on the athletic endeavors and competitions we love. Plus, it is my intention to, on occasion, actually pepper the page and opinion with arguable facts and documentation. My first loves are University of Louisville athletics, college basketball and football in general and their professional counterparts. But I’ll also be posting essays on the personality and personalities of sport, the announcers we love and loathe, recruiting, officiating, along with peeks at the worlds of baseball, cycling, golf, hockey, soccer, tennis, the Olympics and, every once in a great while, Australian Rules Football which I love but rarely get to see. As the former gossip monger behind a column called “Rumor & Innuendo,” I won’t be shy about sharing juicy gossip, at least that which has at least a scintilla of possibility. Every once in awhile I’ll be serious, as when discussing issues such as head injuries in football. Sometimes, I’ll be faux serious, as when contemplating when Brett Favre will again take the field. 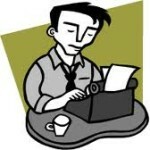 Most of the time, I’ll write as the sports fan I am, with an opinion and my own website on which to publish it. Thanks for taking a look see. Come back often. Bookmark this site, if so inclined. If you’re on Facebook, Like my Culture Maven c d kaplan page, where links to all my posts from here and my other website appear. Remember, the door is always open. Well I hate to see you move on. I have enjoyed reading your material for years. I guess its like Brian the dog everything changes sooner or later. I will continue to read you at your new location but it aint the same.